Start by preparing your pudding. You can purchase premade, use a mix or create from scratch... whatever your preferred method of preparation is. For our pie, we used a mix prepared with the pie instructions. Quick and easy. Pour your pudding into the pie crust. Chill in fridge to allow for pudding to set. Put pie in the broiler just until tops turn a golden brown. Be sure to keep a close eye on them, as they will burn quickly. Alternatively, you can also use a kitchen torch to brown as well. Aside from the delicious taste, there are two big reasons that I love this pie. First, it's very simple to make... a great recipe that the kids can help with...or even create entirely on their own aside from the broiling! It's also very inexpensive. We purchased all ingredients at Aldi and paid around $2-3 for all of it! This is a tasty dessert that truly can fit any budget!! How are you celebrating National S'mores Day? Will this simple pie be part of your festivities? Looks so YUM! I've been craving s'mores lately and had even been browsing some recipes... I love how simple this one looks! 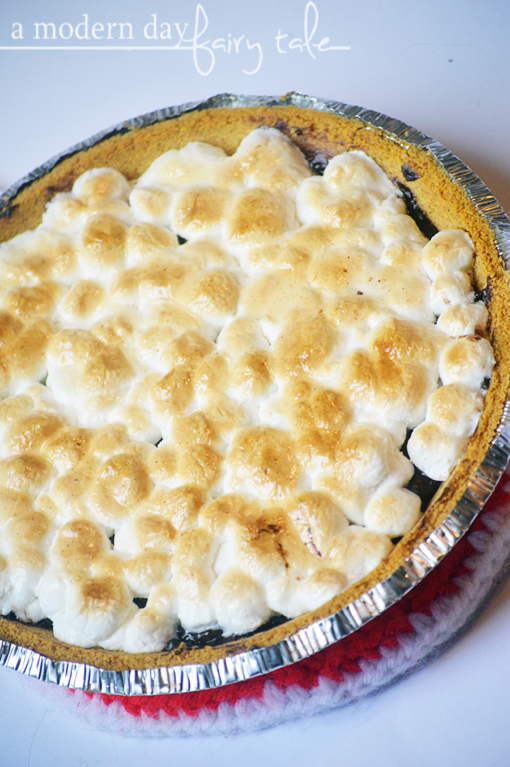 I love s'mores and this is a clever and creative idea to make it into a pie. I like how you even browned the marshmellows on top. My family would really enjoy this. 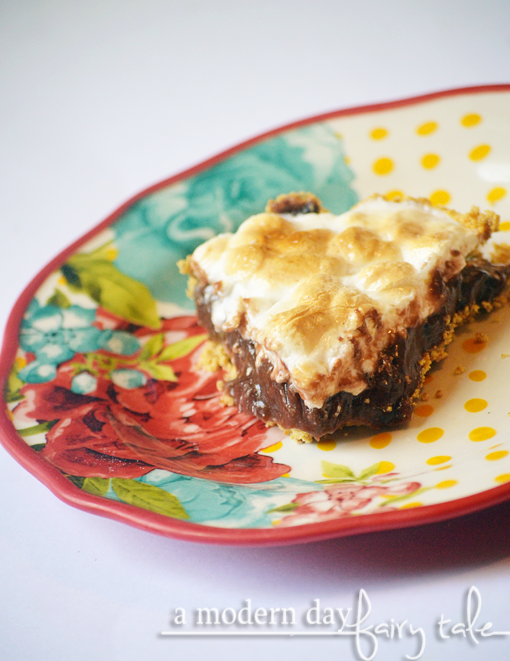 I've never tried a S'mores pie before but I'll try it this weekend with my granddaughters. This looks delicious! I may make one this weekend! My granddaughter loves s'mores she would enjoy this pie.